Before you write your first game, you want to get familiarized with the basics: how to setup your scene, how to load resources (this contains your artwork) and how to create simple interactions for your game. The scene model can be described as a component-based scene graph. The Scene consists of a hierarchy of scene nodes, starting from the root node, which also represents the whole scene. Each Node has a 3D transform (position, rotation and scale), a name, an ID, plus an arbitrary number of components. Components bring a node to life, they can make add a visual representation (StaticModel), they can emit sound (SoundSource), they can provide a collision boundary and so on. In addition to setting up your scene, you need to setup a Camera, this is what determines what will get shown to the user. Ordinary components like Light, Camera or StaticModel should not be created directly into the Scene, but rather into child nodes. The library comes with a wide variety of components that you can attach to your nodes to bring them to life: user-visible elements (models), sounds, rigid bodies, collision shapes, cameras, light sources, particle emitters and much more. As a convenience, various shapes are available as simple nodes in the Urho.Shapes namespace. These include boxes, spheres, cones, cylinders and planes. And now you should be able to see the results of your creation. You can also get a list of all the components by retrieving the Components property which returns an IList<Component> that you can use. When created, both nodes and components get scene-global integer IDs. They can be queried from the Scene by using the functions GetNode(uint id) and GetComponent(uint id). This is much faster than for example doing recursive name-based scene node queries. There is no built-in concept of an entity or a game object; rather it is up to the programmer to decide the node hierarchy, and in which nodes to place any scripted logic. Typically, free-moving objects in the 3D world would be created as children of the root node. Nodes can be created either with or without a name using CreateChild(). Uniqueness of node names is not enforced. Whenever there is some hierarchical composition, it is recommended (and in fact necessary, because components do not have their own 3D transforms) to create a child node. For example if a character was holding an object in his hand, the object should have its own node, which would be parented to the character's hand bone (also a Node). The exception is the physics CollisionShape, which can be offsetted and rotated individually in relation to the node. Scene nodes can be freely reparented. In contrast components always belong to the node they attached to, and can not be moved between nodes. Both nodes and components provide a Remove() function to accomplish this without having to go through the parent. Once the node is removed, no operations on the node or component in question are safe after calling that function. It is also possible to create a Node that does not belong to a scene. This is useful for example with a camera moving in a scene that may be loaded or saved, because then the camera will not be saved along with the actual scene, and will not be destroyed when the scene is loaded. However, note that creating geometry, physics or script components to an unattached node, and then moving it into a scene later will cause those components to not work correctly. A Scene whose updates are enabled (default) will be automatically updated on each main loop iteration. The application's SceneUpdate event handler is invoked on it. Nodes and components can be excluded from the scene update by disabling them, see Enabled. The behavior depends on the specific component, but for example disabling a drawable component also makes it invisible, while disabling a sound source component mutes it. If a node is disabled, all of its components are treated as disabled regardless of their own enable/disable state. The best way to structure your game is to make your own component that encapsulate an actor or element on your game. This makes the feature self contained, from the assets used to display it, to its behavior. The simplest way of adding behavior to a component is to use actions, which are instructions that you can queue and combine that with C# async programming. This allows the behavior for your component to be very high level and makes it simpler to understand what is happening. Alternatively, you can control exactly what happens to your component by updating your component properties on each frame (discussed in Frame-based Behavior section). You can add behavior to nodes very easily using Actions. 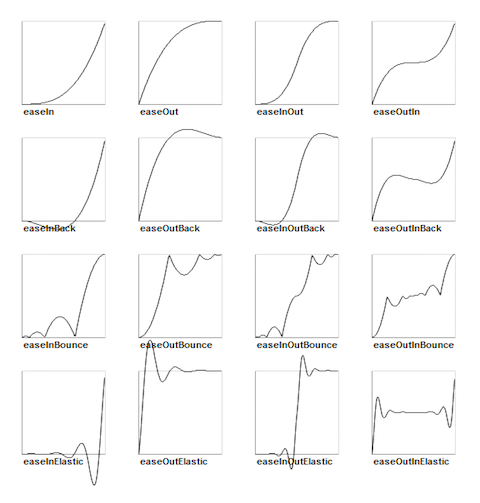 Actions can alter various node properties and execute them over a period of time, or repeat them a number of times with a given animation curve. Actions are immutable objects, which allows you to reuse the action for driving different objects. In the above example the cloud will move and fade out at the same time. You will notice that these are using C# await, which allows you to think linearly about the behavior you want to achieve. Other advanced features include the combination of the Spawn and Sequence actions. Easing is a way that directs the way that the animation will unfold, and it can make your animations a lot more pleasant. By default your actions will have a linear behavior, for example a MoveTo action would have a very robotic movement. You can wrap your Actions into an Easing action to change the behavior, for example, one that would slowly start the movement, accelerate and slowly reach the end (EasyInOut). In your Component subclass, you should introduce an async method that prepares your component behavior and drives the functionality for it. Then you would invoke this method using the C# await keyword from another part of your program, either your Application.Start method or in response to a user or story point in your application. In the Launch method above three actions are started: the robot comes into the scene, this action will alter the location of the node over a period of 0.6 seconds. Since this is an async option, this will happen concurrently as the next instruction which is the call to MoveRandomly. This method will alter the position of the robot in parallel to a random location. This is achieved by performing two compounded actions, the movement to a new location, and going back to the original position and repeat this as long as the robot remains alive. And to make things more interesting, the robot will keep shooting simultaneously. The shooting will only start every 0.1 seconds. If you want to control the behavior of your component on a frame-by-frame basis instead of using actions, what you would do is to override the OnUpdate method of your Component subclass. This method is invoked once per frame, and is invoked only if you set the ReceiveSceneUpdates property to true. You can use the async/action based model for programming much of the behavior which is great for fire-and-forget style of programming, but you can also fine tune your component’s behavior to also run some update code on each frame. OnDeserialized where you can obtain your saved custom states. UrhoObjects raise a number of events, these are surfaced as C# events on the various classes that generate them. In addition to the C#-based event model, it is also possible to use a the SubscribeToXXX methods that will allow you to subscribe and keep a subscription token that you can later use to unsubscribe. The difference is that the former will allow many callers to subscribe, while the second one only allows one, but allows for the nicer lambda-style approach to be used, and yet, allow for easy removal of the subscription. They are mutually exclusive. When you subscribe to an event, you must provide a method that takes an argument with the appropriate event arguments. The parameter received by the event handler is a strongly typed event arguments class that will be specific to each event and contains the event payload. Material - materials used to render Models. ParticleEffect- describes how a particle emitter works, see "Particles" below. Sound - sounds to playback, see "Sound" below. They are managed and loaded by the ResourceCache subsystem (available as Application.ResourceCache). The resources themselves are identified by their file paths, relative to the registered resource directories or package files. By default, the engine registers the resource directories Data and CoreData, or the packages Data.pak and CoreData.pak if they exist. If loading a resource fails, an error will be logged and a null reference is returned. The following example shows a typical way of fetching a resource from the resource cache. In this case, a texture for a UI element, this uses the ResourceCache property from the Application class. Resources can also be created manually and stored to the resource cache as if they had been loaded from disk. Memory budgets can be set per resource type: if resources consume more memory than allowed, the oldest resources will be removed from the cache if not in use anymore. By default the memory budgets are set to unlimited. Urho3D tries to use existing file formats whenever possible, and define custom file formats only when absolutely necessary such as for models (.mdl) and for animations (.ani). For these types of assets, Urho provides a converter - AssetImporter which can consume many popular 3D formats such as fbx, dae, 3ds, and obj, etc. There is also a handy add-in for Blender https://github.com/reattiva/Urho3D-Blender that can export your Blender assets in the format that is suitable for Urho3D. Normally, when requesting resources using one of the ResourceCache’s Get method, they are loaded immediately in the main thread, which may take several milliseconds for all the required steps (load file from disk, parse data, upload to GPU if necessary) and can therefore result in framerate drops. If you know in advance what resources you need, you can request them to be loaded in a background thread by calling BackgroundLoadResource(). You can subscribe to the Resource Background Loaded event by using the SubscribeToResourceBackgroundLoaded method. it will tell if the loading actually was a success or a failure. Depending on the resource, only a part of the loading process may be moved to a background thread, for example the finishing GPU upload step always needs to happen in the main thread. Note that if you call one of the resource loading methods for a resource that is queued for background loading, the main thread will stall until its loading is complete. The asynchronous scene loading functionality LoadAsync() and LoadAsyncXML() has the option to background load the resources first before proceeding to load the scene content. It can also be used to only load the resources without modifying the scene, by specifying the LoadMode.ResourcesOnly. This allows to prepare a scene or object prefab file for fast instantiation. Finally the maximum time (in milliseconds) spent each frame on finishing background loaded resources can be configured by setting the FinishBackgroundResourcesMs property on the ResourceCache. Sound is an important part of game play, and the UrhoSharp framework provides a way of playing sounds in your game. You play sounds by attaching a SoundSource component to a Node and then playing a named file from your resources. Particles provide a simple way of adding some simple and inexpensive effects to your application. You can consume particles stored in PEX format, using tools like http://onebyonedesign.com/flash/particleeditor/. 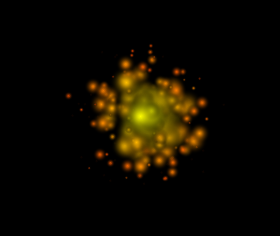 Particles are components that can be added to a node. You need to call the node’s CreateComponent<ParticleEmitter2D> method to create the particle and then configure the particle by setting the Effect property to a 2D effect that is loaded from the resource cache. // show a small explosion when the missile reaches an aircraft. 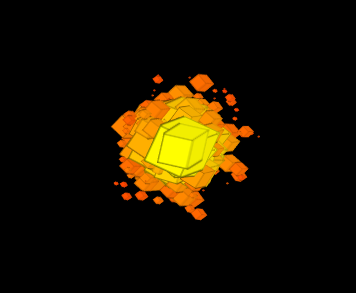 The above code will create an explosion node that is attached to your current component, inside this explosion node we create a 2D particle emitter and configure it by setting the Effect property. We run two actions, one that scales the node to be smaller, and one that leaves it at that size for 0.5 seconds. Then we remove the explosion, which also removes the particle effect from the screen. UrhoSharp is a single threaded library. This means that you should not attempt to invoke methods in UrhoSharp from a background thread, or you risk corrupting the application state, and likely crash your application. If you want to run some code in the background and then update Urho components on the main UI, you can use the Application.InvokeOnMain(Action) method. Additionally, you can use C# await and the .NET task APIs to ensure that the code is executed on the proper thread. You can download the Urho Editor for your platform from the Urho Website, go to Downloads and pick the latest version. This documentation contains original content from Xamarin Inc, but draws extensively from the open source documentation for the Urho3D project and contains screenshots from the Cocos2D project.